Authority Health › Diet & Weight Loss › How Many Carbs Should You Eat Per Day to Lose Weight? If you are serious about losing weight, a restricted carb diet is one of the best options. You will find that you feel fuller on this diet and so eat less - without having to worry about how many calories you are eating or weighing your food. You do not have to starve and be miserable if you want to lose weight at all. What Motivates People to Try Low-Carb Diets? You have no doubt heard the “fact“ that a low-fat, calorically controlled diet is the best way to lose weight. The actual facts do not bear this out though. Most people find such diets hard to stick with and do not get results worth noting. The low-carb diet, on the other hand, while perhaps not as famous, is an option that has been around for a lot longer than the low-fat approach. 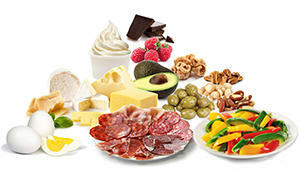 On the low-carb plan, you cut right back on starches and sugars and increase your intake of fat and protein. 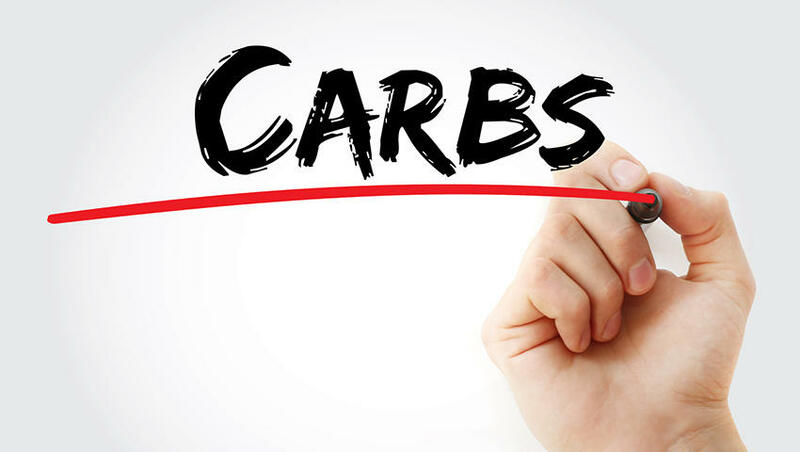 There is more than just a reduction in fat as a reason to try a restricted carb diet. You can expect better blood pressure, triglyceride and sugar levels. Healthy cholesterol increases and unhealthy cholesterol decreases. It has been scientifically proven that restricting carbs is better for your health and better for weight loss than any other diet out there. When compared to a low-fat eating plan, the low-carb normally wins, even when the low-fat group follow a strictly controlled diet and restrict calories and fat. In fact, as long as you keep a tight lid on the carbs, weight loss is a breeze. This is a bit more of a loosely defined area when it comes to low-carb. It is best to look at this on a person by person basis. Your health, how active you are, how old you are and how much weight you need to lose all factor in here. Those who do a lot of physical activity, for example, have a higher muscle percentage and are thus able to eat more carbs. Those people who do a lot of heavy and physically demanding workouts fall into this category. The most important thing to consider though is how healthy you are. If you suffer from some form of a metabolic disorder, are obese or overweight or have adult onset diabetes, you cannot eat many carbs at all. If all you do as a result of this article is to get rid of the worst culprits when it comes to carbs - added sugars and refined wheat and whole wheat, you are already taking great strides in improving your health. When it comes to getting all the benefits though, you do need to look at controlling the number of carbs you get overall. This is not really a low-carb diet as such and so is only a good idea for those who are already thin and active or those who just want to be healthier without dropping weight. At this level, you would probably need to look at portion control if weight loss is your ultimate goal. A few pieces of fruit a day. This is where you want to start if you want to lose some weight and want to do so easily. For those who battle with carbs, it is a good range to stay in to maintain weight loss. Two or three servings of fruit. Small quantities of starches, occasionally. This is where you want to be if you want to get the best benefits in the shortest period of time. If you have metabolic issues or are very overweight, this is where you should be looking. At this level, ketosis occurs and the brain uses ketones for energy. You are not likely to feel hungry at all once this kicks in and the weight will come off. Lots of veggies, as long as they are low in carbohydrates. Berries, as long as they are low in carbs, can be kept for a treat - mixed with cream. Trace amounts of carbs that are found in avocados, seeds, and nuts. Note that this is NOT a diet that contains no carbs at all. You are not going to have to eat just meat and fat. You will have lots of vegetables as well, as long as they're low-carb. You do need to come to a decision about what is good for you - perhaps you cannot handle the very low carb; perhaps you thrive on it. You need to experiment a bit to see what is best. Should you be taking any medication or be in poor health, you need to consult with your healthcare practitioner before and while following the diet. Medication levels may need to be reduced. The way to look at this is as a health plan, not a weight loss plan. So you need to source carbs that are healthier. Sticking to foods that are as natural as possible goes a long way here. Steer clear of any foods that are overly processed. Some of these processed foods, even if they claim to be low in carbs, are no better than junk food. If you are serious about getting healthier, feed your body the food it needs in the form of food that has undergone as little processing as possible - fish, veggies, eggs, nuts, etc. Sugar and wheat are two big no-no's. Eat very rarely if at all. As a result, you will see amazing results in the first week alone - around five to ten pounds. This is water weight though. Fat burning begins in earnest in the second week. In one study, Dexa scanners (a highly accurate measuring device) were used to compare the results of the reduced fat and the reduced carb eating plans in terms of the changes to the composition of the body. Those on the reduced carb eating plan not only lost an impressive portion of their fat stores but also increased muscle mass. The reduced carb diet is also extremely good at getting rid of deadly belly fat. The chances are that at first, you will not feel so great on this plan - you are likely to feel a general malaise. This will only last for the first three days or so and is due to your body adapting to burning a new source of fuel. If you are feeling really miserable, up your intake of fat and salt until you feel better. If this idea appeals to you, start off by recording what you actually do eat now - without changing anything. That way, you will know how many carbs you are actually eating. Since fiber is not technically a carb in terms of these diets because it is not digested, use the net carbohydrate total. Simply reduce the over carb total by the fiber content. On the other hand, it really is so simple that you need not even track the foods unless you really feel like it. Stick to the basics - healthy fat, vegetables, and protein with each meal. Add a handful of seeds or nuts and put full-cream dairy back on the menu as well. Eat simple foods that have not been subject to a lot of processing. There are also supplements you can take advantage of to help you.